Menus are a common user interface component in many types of applications. To provide a familiar and consistent user experience, we will use the Menu APIs to present user actions and other options in our activities. In this tut, I present a demo project about creating menus and use it. 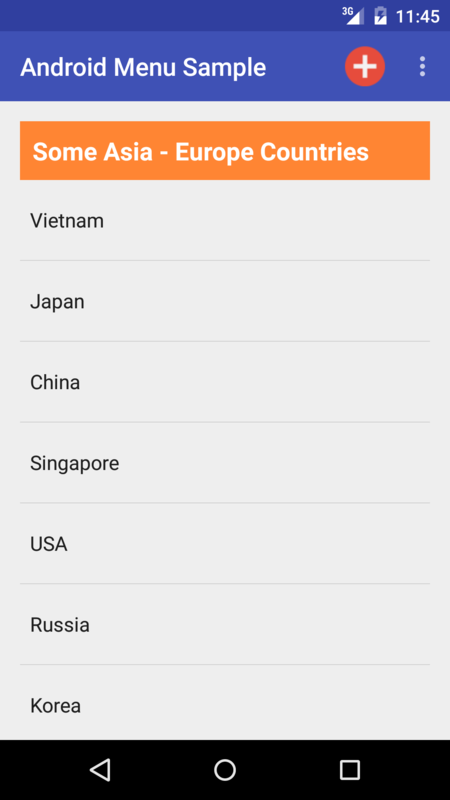 - Option Menu: locating at ActionBar or Toolbar, is the primary menu in Android. 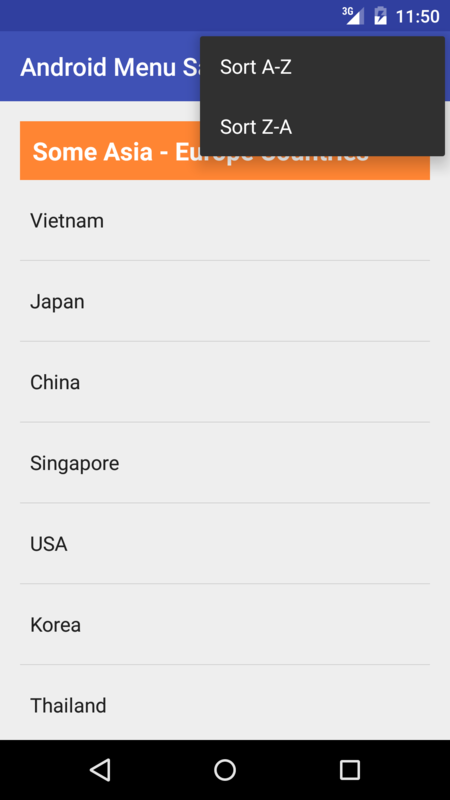 It's typically used for providing additional info about an app, as well as linking to a help and settings sections. - Context Menu: display when long click at a view, for example: a ListView row, usually provide customizing methods for this view. 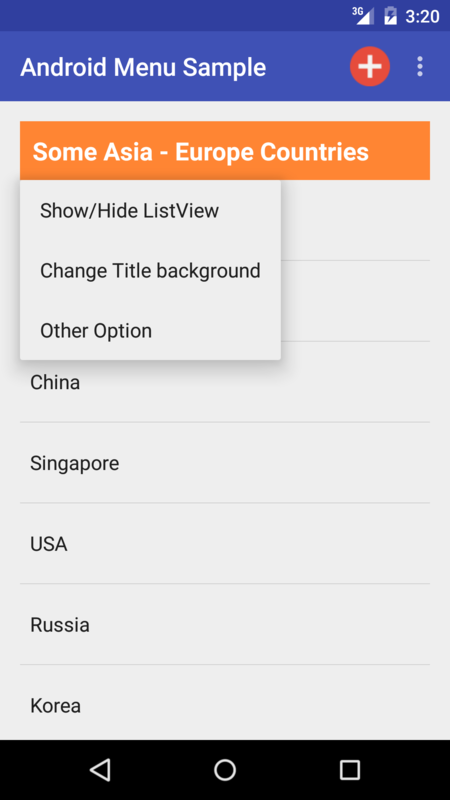 - android:id: requirement property, express the uniqueness of the menu entity. 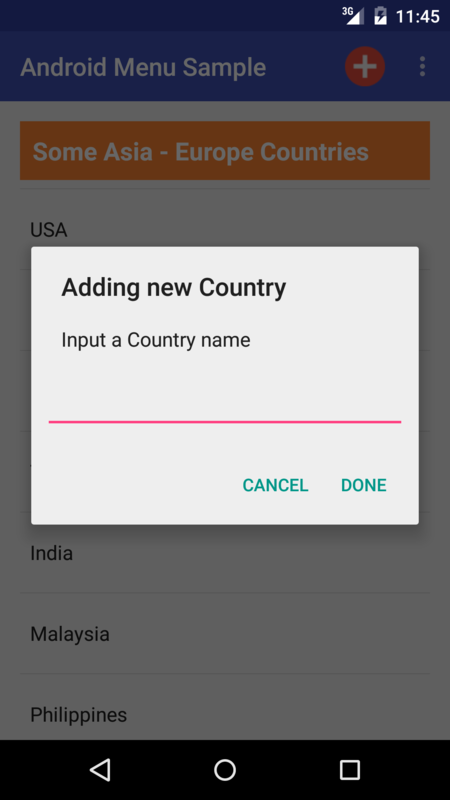 - android:title: name of entity, show on user interface. 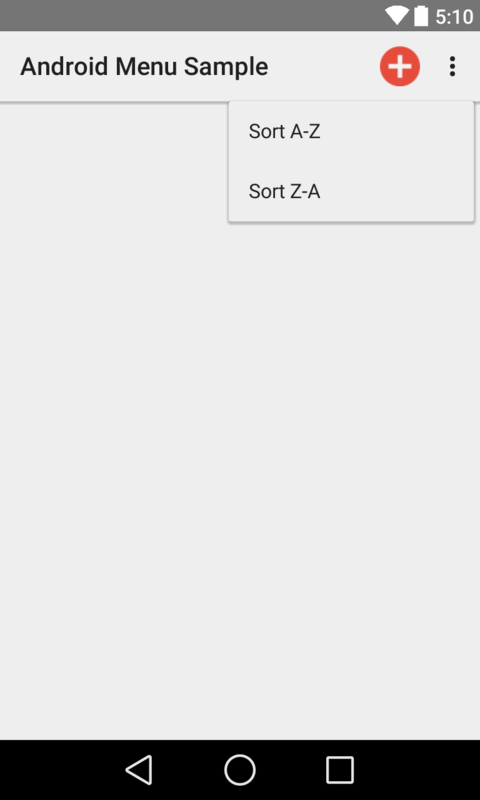 - android:icon: set drawable resource use for entity, show instead of it's title if drawable not null. - app:showAsAction: if set "never", item will be hide in overflow menu in ActionBar, to visible it, we set "ifRoom" or "always". The context menu appears when users long-press user interface items, pressing the item and holding it until the menu appears. Android users are typically accustomed to this type of interaction, as it is standard for system functions such as altering home screen icons. Note: through AdapterView.AdapterContextMenuInfo, ListView item was linked with the ContextMenu item. 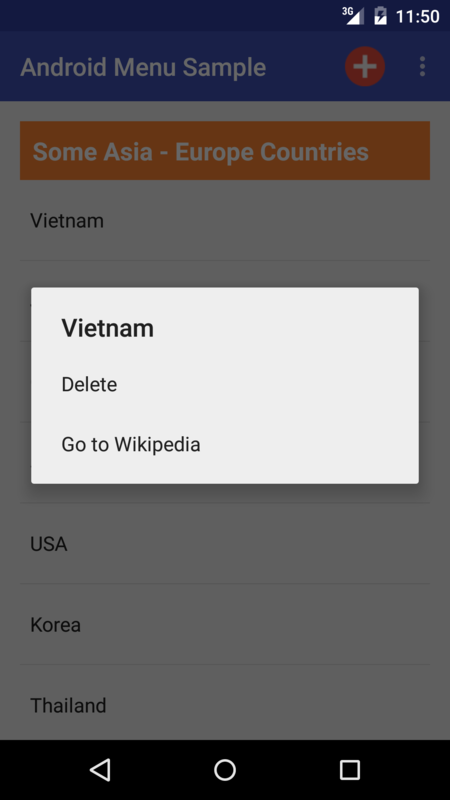 Through this post, you are learned about using menu types in Android. As with any development project, your apps will be more usable if they exploit the type of interaction and functionality users expect as standard. Using the menu is a good way to achieve this when providing informative sections.